traehekat wrote: Just got into Winston-Salem about an hour ago. We drove around for a bit looking for where the bars/restaurants are that students usually frequent, but gave up after like 15 minutes and just got Taco Bell. We did drive out to the campus though to check out how the "gated campus" thing worked. It is exactly what you think - there is a country club looking entrance and a guard at a booth that basically lets you in or turns you away. The guard on duty couldn't let us in, but he was really nice and pointed us in the direction of food. I guess there is a guard on duty from 10:00 PM to 6:00 AM, otherwise it sounds like people are free to come and go. +1. Would love to hear your thoughts on it. Hello all, I'm a current undergraduate student and I am planning on being a double Deac. So I can answer questions people might have about Wake and the area in general if anyone has any. 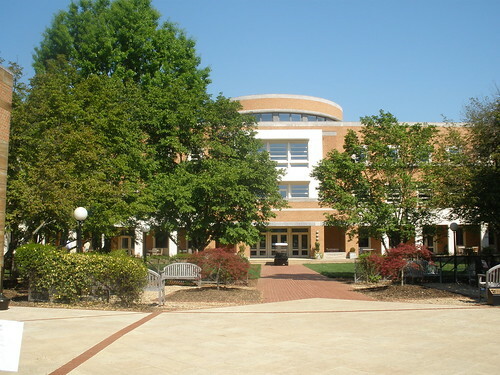 I've been here 4 years so I think I know quite a bit, but maybe not everything about the law school, I've only had the basic tour and class etc. but i've met all the staff and they are wonderful and the facilities are excellent as well. elliwg6 wrote: Hello all, I'm a current undergraduate student and I am planning on being a double Deac. So I can answer questions people might have about Wake and the area in general if anyone has any. I've been here 4 years so I think I know quite a bit, but maybe not everything about the law school, I've only had the basic tour and class etc. but i've met all the staff and they are wonderful and the facilities are excellent as well. Wake seems to get crushed by UGA/UNC in this aspect. I just didn't know if you were trying to hide anything about W-S (some might say its not the most attractive city). It's weird... it really depends where you go, plus I couldn't really tell when I was technically in Winston-Salem and when I wasn't. The downtown/city portion is nice - a few good restaurants and bars, and it looks like there were a fair amount of arts and crafts kind of shops, but it was tough to tell cause it was dark. 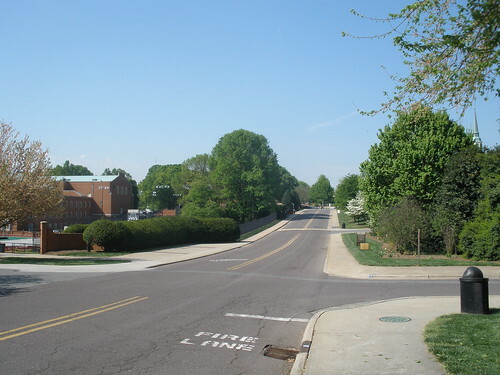 The area by Hanes shopping mall is the suburban aspect to Winston-Salem, and it was nice there too. Lots of your typical restaurants and stores, and the mall isn't bad at all. There were some areas we went through that were less than pleasing on the eye, but I mean hey, most cities have areas like that. It was hard to get a great feel for everything, because any time you want to go somewhere, you have to hop on the highway for 5 minutes (according to the iPhone, at least), so you kind of skip over some parts of the city and just get to where you are heading. This is what kind of confused me regarding undergraduate students - like, if you don't have a car, I don't understand what you are doing for fun other than drinking at the frat/sorority houses, but maybe elliwg6 can comment on this. Last edited by traehekat on Sun Apr 18, 2010 8:24 pm, edited 1 time in total. well, i'm actually from georgia, so i know a little about athens, and frankly its pretty awesome as far as night life is concerned. in athens you can walk to the bars from most of the houses and apartments. in winston there are a far number of good bars, not really any clubs, at least none that i know of. there are some pretty good "wake bars" especially for older undergraduates, and i assume that these are frequented by graduate students also, but probably not on the same nights. (there are the really trashy underclassmen undergraduate bars too) there are also a lot of stuff in the downtown area, but driving or a cab is necessary. i cant speak for unc, but i hear that they have a solid night life. to be honest its kinda what you make it, at least is has been for me. Traehekat, you got a WFU law school BLANKET???? Cool! I want one too! Btw, i've lived in nc my whole life and Wake isn't exactly known for it's diversity. There's a reason they call it "white forest". lml09 wrote: Traehekat, you got a WFU law school BLANKET???? Cool! I want one too! Heh, it's nothing TOO nice - just a black fleece blanket with a patch near the corner that says Wake Forest University School of Law with the WFU logo. Still, better than nothing, and its practical! Yeah......No car as and undergraduate meant you just made friends with people who did. Also, driving can be kinda confusing because wake is actually at the hub of the intersection of some main roads. which means its easy to get to and from wake to places, via silas creek, reynolda, stratford and university, but harder/ more annoying to eat dinner at stratfrod, see a movie on reynolda and go to a bar downtown (university) if you see what i mean... its a lot of i know 6 ways to get there but there is no "best way"
I need some wfu thing to cuddle with that will fill the gap that my UNC snuggie left. haha it's super soft too, made a great pillow on the way home. jealous about the blanket too! i want a shirt/hat as well. does anyone know where you can buy wake law apparel? Really? I was there a couple weeks ago and they had 3 styles of shirts, two styles of sweat shirts, a hat and a load of car stuff. Maybe they just got new stuff in and you were there with the clearance stuff? 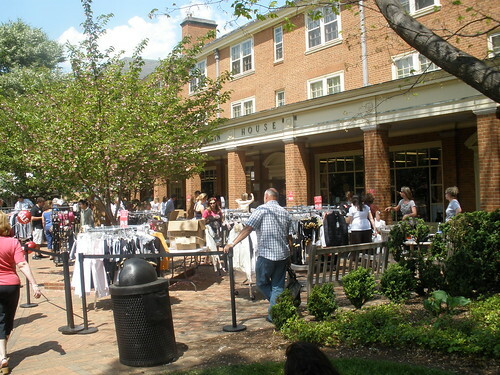 WFU law merchandise seems pretty scarce wherever you look, including everywhere on the internet. I'm not going up to WS anytime in the near future, and I would like to have some stuff before I make it up. If anybody finds anything on the internet, let us know if you don't mind. UGA is opposite: Nothing on campus, but they have a sweet online store. I really don't think WF has law gear online. 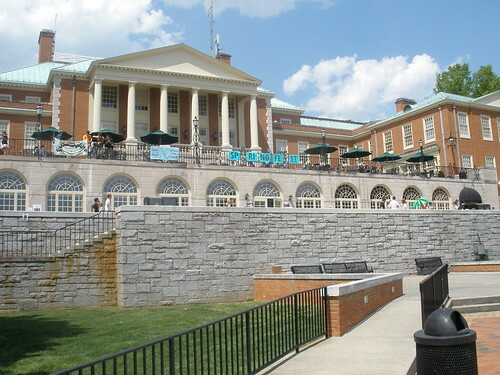 traehekat wrote: However, in this is my first gripe about WFU. Now, I'll preface by saying that it appeared to be some sort of admitted students day for undergraduates, or some sort of weekend where parents came down, so maybe this is a little bit out of the norm (but from what I have heard, it is not). Anyway, the undergraduate campus has very much so a rich white kid school type of feel to it. Probably about 70% of the students/parents I ran into were wearing Ralph Lauren or Lacoste. It was not very diverse, at all. While I didn't get exactly the same feeling at the law school, the class I sat in on didn't have one black student out of about 60 kids. Now, I'm as white as they come, but I come from a very large public school where you can pick 7 people at random and you will probably get 3 different races, so this is just what I am used to, but also what I value. Just my two cents, and I will add that I never heard any sort of racist comments or undertones or anything like that - at all. I'm just saying it was very homogeneous, from what I could see. All of that to say, I think the campus looks a lot sweeter in mid april then it does in february. Oh, and not sure how many times I listened to Raise Up by Petey Pablo over the weekend... but it was a lot.